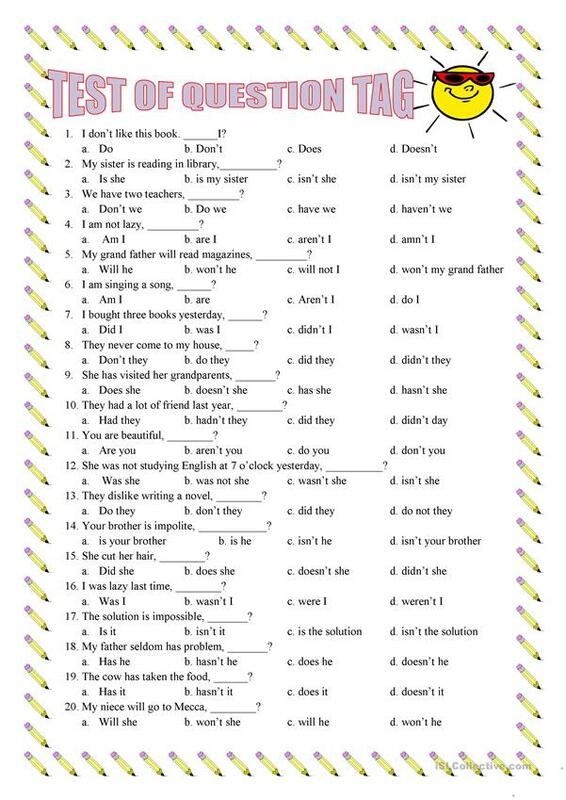 this exercise will show in multiple choice and continue in fill in the blank one. may it useful! The above downloadable teaching material is meant for high school students at Pre-intermediate (A2) and Intermediate (B1) level. 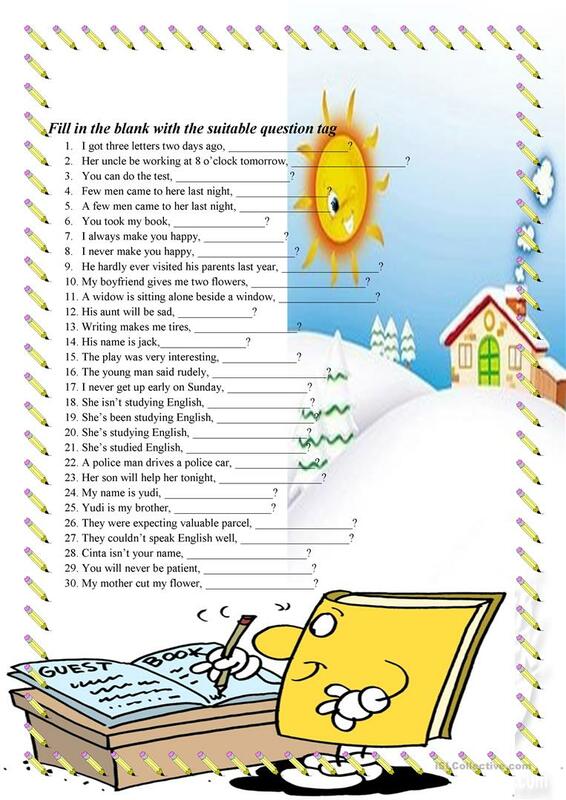 It is aimed at practising Question tags in English, and is useful for improving your learners' Writing skills. It is focused on the theme of Actions.